For some titles on the list like Cody Johnson’s Ain’t Nothin’ to It and Cassadee Pope’s Stages, you won’t have to wait very long. Cody’s major label debut, which follows five successful independent albums, features his hit, “On My Way to You.” It’ll be out next Friday. Cassadee’s sophomore album, arriving five years after her debut, is coming out February 1. When it comes to the new records from Maren and OD, we know a lot less. 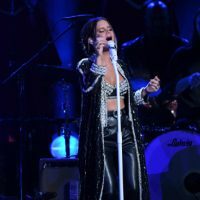 The lead single from the third album by the CMA and ACM Vocal Group of the Year, “Make It Sweet,” is currently climbing the chart, though the band hasn’t revealed their project’s title or street date. As for Maren, fans can expect her sophomore album’s first single any day now, as well as info about its name and timeline. You can check out the full list at Billboard.com.